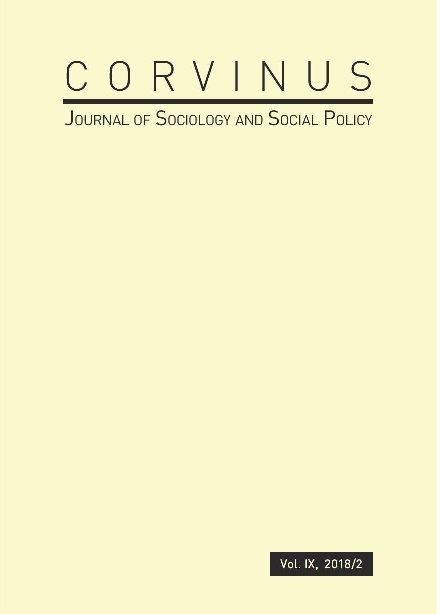 CJSSP is a double blind peer-reviewed journal of the Sociology Doctoral School of the Corvinus University of Budapest (CUB). It publishes original academic articles, research notes, and reviews from sociology, social policy and related fields in English. It invites contributions from the international community of social researchers. The journal covers a wide range of relevant social issues. It is open to new questions, unusual pesrpectives, explorations and explanations of social and economic behavior, local society, or supranational challenges. Strong preference is given to problem-driven, theoretically grounded empirical researches, comparative findings, logical arguments and careful methodological solutions. The journal provides immediate open access to its content on the principle that making research freely available to the public supports a greater global exchange of knowledge. With simillar objectives we do not charge authors for the publication of their articles. Articles submission and processing is free of charge as well. CJSSP is financed by the Sociology Doctoral School of CUB. It is published in yearly volumes of two issues. It is reposited at Corvinus Research (http://unipub.lib.uni-corvinus.hu/), indexed by CEEOL, CNKI, EBSCO, EconBib, Google Scholar, IBSS Proquest, Index Copernicus, InfoBase Index, SCOPUS, Sociological Abstracts and Web of Science ESCI.